Product prices and availability are accurate as of 2019-04-16 14:03:55 EDT and are subject to change. Any price and availability information displayed on http://www.amazon.com/ at the time of purchase will apply to the purchase of this product. 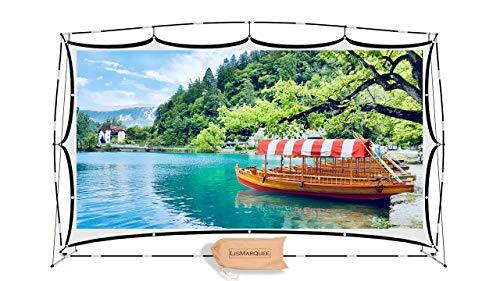 The LisMarquee 150" screen offers the only no-wrinkle fabric that allows for both front and rear projection. 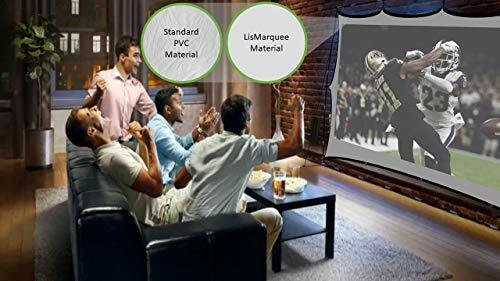 This allows you to place the projector behind the screen which eliminates shadows and allows for closer seating in smaller venues such as a home theater or small office. 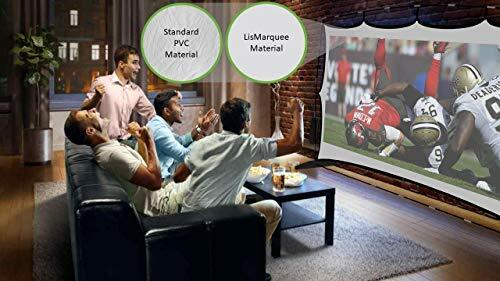 The LisMarquee screen can be assembled in under 10 minutes and taken down in five. 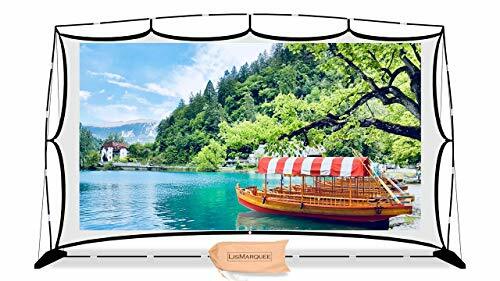 Thanks to the no-wrinkle, machine-washable fabric, the screen material is foldable and easily fits into the 6x8x24 inch carry bag that weighs only 14lbs! The filled bag fits comfortably into a standard size backpack. 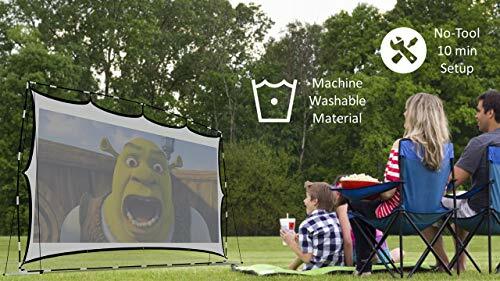 The screen includes all necessary parts to setup inside and outside. 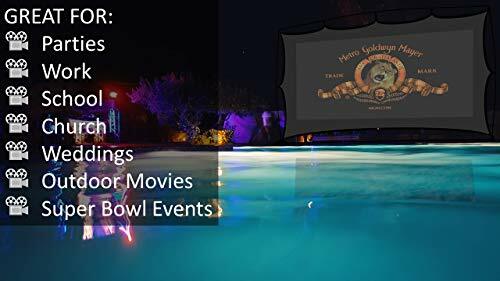 Make a lasting impression at your next event by choosing the screen that's the largest in it's class. Screen material should be washed in cold water and dried with a cool tumble dry. Setup is best performed with a friend. Includes screen, free-standing frame, carry bag, setup instructions, and stakes for outdoor use.